The irony of it all is just too much. After I wrote about keeping fit this pregnancy, I started having contractions, which set off "alarm bells" for my doctor, since I've done this three times before with no problems at all. So now I'm a step above bed rest, under-active, pseudo bed rest, staying at home, whatever you want to call it. Just in case that sounds like fun, let me be clear that with three kids, all of the mommying, organizing, and thinking parts of parenting/cooking/household running are still there, except now I make grocery lists for other people. Any good book/movie/internet ideas? I'm looking for fun things to keep me occupied while the little one bakes for at least 4 more weeks! Oh no!! 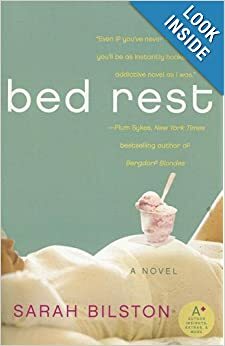 I think bedrest only sounds fun with a first - after that it's just a hassle with another little one (or more) depending on you! I'm so glad you have help. Sounds like you need a few netflix marathons :) Hope those contractions stay at bay for another four weeks! So sorry to hear about your pseudo bedrest. I am a mother of 4 and can not imagine having to slow down! I have a suggestion, you can track your family ancestry on familysearch.org. It is a free website. I would do it while I was nursing and it is interesting to see where I have come from. Best of luck!